PanAtlantic Exploration Company Selects PaleoGIS – The Rothwell Group, L.P.
PanAtlantic Exploration Company is the newest user of PaleoGIS. 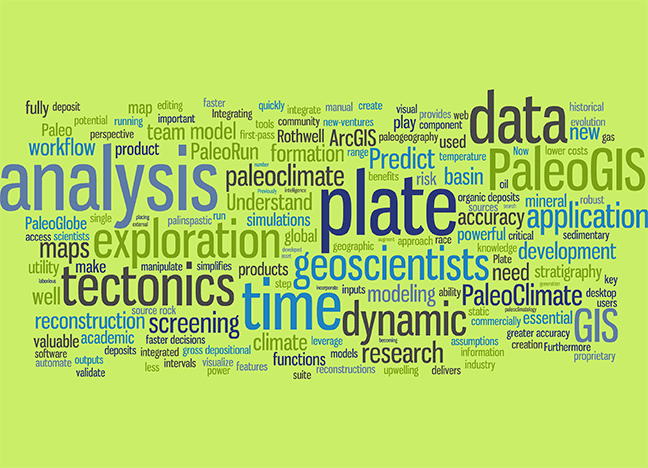 We are pleased to announce that PanAtlantic Exploration Company (PanAtlantic) is the newest user of The Rothwell Group’s plate tectonics reconstruction software, PaleoGIS. PanAtlantic is an independent oil and gas company with extensive experience and expertise in safe, efficient, offshore and onshore exploration along West Africa and South America, as well as in the Black Sea. The Rothwell Group (Rothwell) is a software engineering and process optimization company. Our solutions are designed for organizations that rely on complex geoscience, geospatial, decision support and operational processes to fuel business performance. We collaborate with our customers to transform their critical workflows into intuitive and tailored solutions that drive efficiency, manage costs and increase productivity. For the petrochemical and mineral industries, Rothwell has developed PaleoGIS, plate tectonics reconstruction software, and PaleoClimate™, quick-cycle climate modeling software. These are first-pass screening tools that enable geologists and GIS professionals to predict high-potential analogues with lower risk and cost, as well as to understand basin and play formation with greater accuracy. The products are installed at the majority of the largest and fastest-growing global oil and gas and mineral exploration companies.